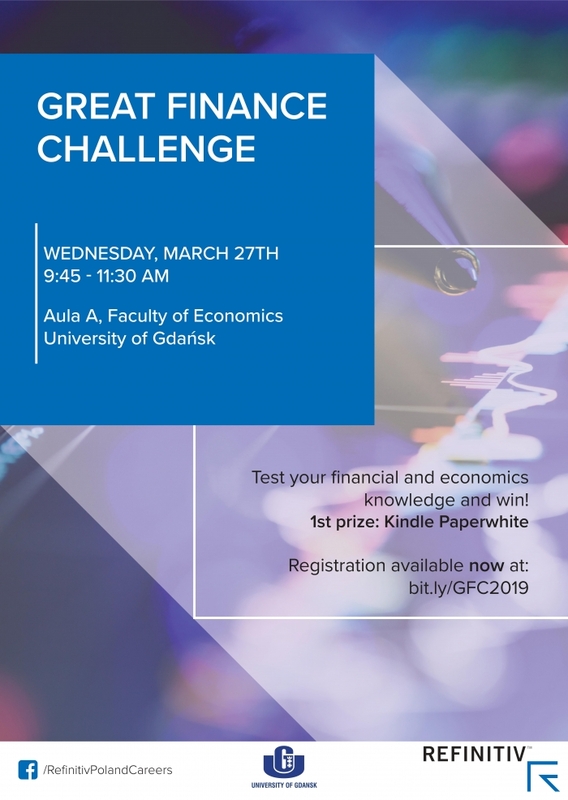 Great Finance Challenge - 3rd edition! Refinitiv 3rd edition of financial markets & macroeconomics contest for students from University of Gdańsk at Faculty of Economics. We encourage ambitious students to take on a challenge and to participate in financial markets and economics quiz! WHO CAN JOIN? Quiz is mainly dedicated for students on 3rd, 4th, 5th year of studies. Anyone who is interested to test knowledge is welcomed. ● Win Kindle and other prizes!